UPDATED: Fri., April 5, 2019, 8:03 p.m. 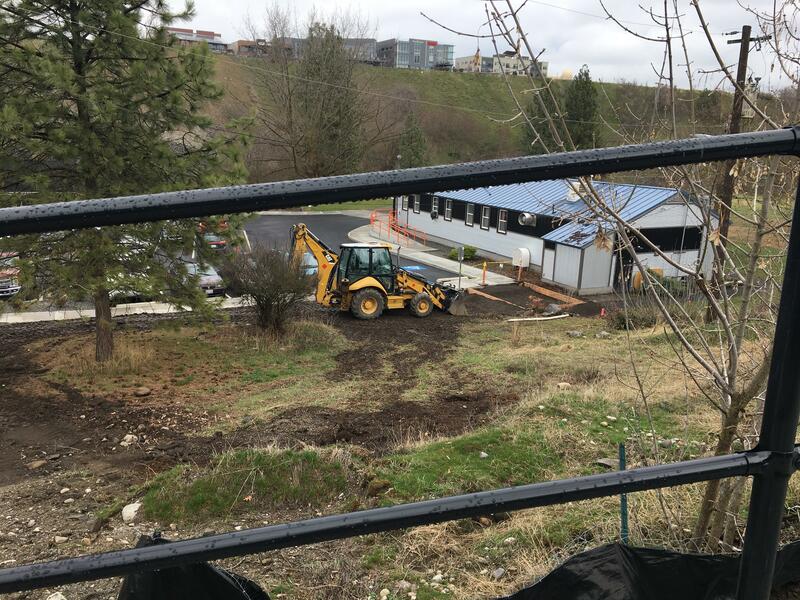 Sagging pipes could lead to more headaches for residents of Peaceful Valley, who saw their historic neighborhood ripped up last year to make way for a $4 million stormwater project intended to keep sewage out of the Spokane River. Video cameras running through piping installed beneath streets and sidewalks revealed “bellies” that could affect the flow of stormwater runoff into swales dug into parkland south of the Spokane River. Residents have received notification from the city that additional digging may be necessary to correct the problem and to prepare for potential street closures. Halme Construction contracted with the city to complete the work in Peaceful Valley, which included installing new storm and sewer piping beneath Main and Water Avenues and Cedar Street and the construction of the stormwater swales. The project, expected to cost a little more than $3.7 million, is part of a citywide effort to keep excess rainfall and snowmelt from inundating combined sewer pipes and overflowing into the river. The Spokane-based company has built several of the subterranean tanks and associated piping designed to trap runoff until it can be treated at the Riverside Park Water Reclamation Facility, including a 210,000 gallon tank at High Drive and Hatch Road on the South Hill and the 2 million gallon tank being buried in Liberty Park. The sagging in the pipes in Peaceful Valley has the company puzzled, said Jason Halme, president of Halme Construction. “We’ve done a lot of work with the city, and we haven’t seen this before,” Halme said. The system appears to be working correctly, however, said Lesley Quick, chair of the Peaceful Valley Neighborhood Council. Friday afternoon, she pointed to the series of swales installed just north of Water Avenue after a morning of light rainfall and a month of heavy snowmelt, noting that just one of three basins had actually filled with water in recent weeks. “To not get past the first swale, that’s awesome,” Quick said. If that swale were to fill from a pipe funneling runoff not only from Peaceful Valley, but from Browne’s Addition farther up the cliff, the water would flow into two subsequent basins. And if those filled up, there’s a relief drain that runs into another series of swales farther west down the street before any flooding would occur. Residents are wary that any additional work could close streets on the east side of the neighborhood as work is scheduled to commence this summer on the western reaches of Peaceful Valley on a trail system linking to People’s Park and the Sandifur Bridge. That’s after a summer that saw the closure of Main Avenue, the one route east out of the neighborhood into downtown. Halme said he believed much of the work would be confined to empty lots and not beneath street surfaces. A heavy loader was parked Friday just outside the neighborhood’s community center, at the bottom of Cedar Street leading down to Water Avenue. There’s about $105,000 left in contingency funds for the stormwater project, according to city records. Halme would have to appeal to the city to cover any additional costs for the project, which would then be considered by the Spokane City Council. Published: April 5, 2019, 2:21 p.m. Updated: April 5, 2019, 8:03 p.m.